Hugo Junkers was born on February 3rd, 1859 in a small town named Rheydt near Monchengladbach in Germany. He was the third out of seven sons of Louise Vierhaus and Heinrich Junkers. Heinrich Junkers was the owner of a small textile company in Rheydt, which ensured, that the family had a good financial backing. His mother died, when Hugo Junkers was ten years old, in 1869. Hugo Junkers grow up at Rheydt and joint the Junior High School in 1867. In 1873 his father married Luise Pfaff, bringing back a women into the pure man’s family. Hugo Junkers finished the Junior High School at Rheydt in 1874 and moved to the Vocational School at Barmen in 1875. At the age of nineteen, Hugo Junkers finished his school education in 1878. In Aachen he finished his technical studies as a mechanical engineer after 10 semesters in May 1883 at the age of 24 and achieved the offical title “Baufuehrer”. During the second half of 1883 Hugo Junkers took over the technical management of his father's textile company at Rheydt. In January 1884 Hugo Junkers returned to Aachen for additional studies in electrical engineering. Parallel to these studies Junkers took jobs at several Aachen mechanical companies until 1885. In June 1887 Hugo Junkers again moved to Berlin, where he continued his electrical engineering studies, as well as some economical studies. In June 1887 he obtained the title “Baumeister” at the Technical University of Berlin. In November 1887 Hugo Junkers’ father died by a gas accident, when ventile of the gas lines did not close completely and he get poisoned by leaking gases. The textile company of the Junkers family was taken over by the oldest of the Junkers’ brothers, Max Junkers. Hugo Junkers returned to Berlin in 1887 and performed additional studies at the Research Institute of Prof. Slaby. Junkers concentrated himself in the field of electro-mechanics plus some economical trade lectures. At Slaby’s Electrotechnical Laboratories Hugo Junkers got also involved in technological questions regarding gas engines. In 1888 Wilhelm von Oechelhaeuser of the Deutsche Continental Gasgesellschaft in Dessau was looking for a young engineer, who would be able for further developement of the gas engine developements. Therefore Oechelhaeuser asked Prof. Slaby for a propriate candidate for that job and Prof. Slaby recommended Hugo Junkers, who finally accepted the new business. On 2nd November 1888 Hugo Junkers arrived in Dessau at the age of twenty-nine years to joint the Deutsche Continental Gasgesellschaft of Wilhelm Oechelhaeuser. At the DCA Hugo Junkers tried to improve the performance of gas engines, based on an Oechelhaeuser idea of gas injection and a regulator for the gas-air-mixture. Oechelhaeuser had already built two gas engines in 1886 and 1887. This was a 6 PS four stroke Otto engine in 1886 and a 4 PS two stroke Benz engine. Junkers worked on the Model III, which was a conversion of the 4 PS Benz engine. After one year the results showed, that these techniques would not be suitable for large scale gas engines, as Oechelhaeuser hoped. Therefore these approaches were stopped and Hugo Junkers left the DCA in late 1889. However, in 1890 Hugo Junkers and Wilhelm von Oechelhaeuser founded the Versuchsanstalt fuer Gasmotore von Oechelhaeuser und Junkers (Laboratories for gas engines) at Dessau. August Wagener had already joint Junkers’ research work at the DCA in November 1889. 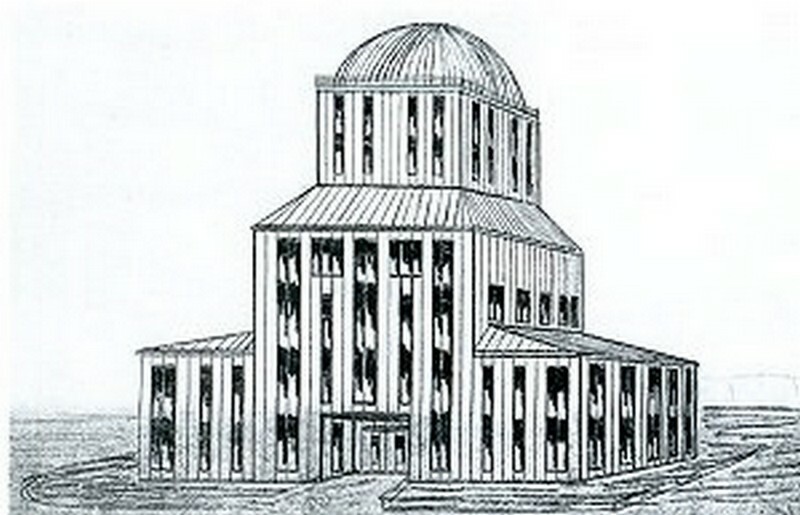 Both were joint by Emil Wergien and Wilhelm Lynen in March 1891. Initially the Laboratories were located at the Wolfgangstrasse 15 in Dessau, but quickly they were retransfered to the DCA area. Oechelhaeuser himself financed the Junkers studies at the laboratories, but did no longer influence them. Together with his three assistant engineers Junkers continued the researches for an improved gas engine. The Model IV and V were conversions of the original Model III Benz engine in 1890. But it took until 1892, when the first usefull Double-Piston Gas Engine Model VI with a power of 100PS was ready. Hugo Junkers and Wilhelm von Oechelhaeuser protected their gas engine with a patent. On 8th July 1892 the double counter piston engine was patented to both under registration number 66961. 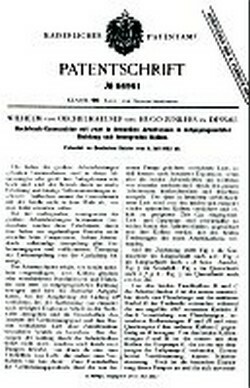 This was the first patent out of a large series of patents, which were assigned to Hugo Junkers. Hugo Junkers and his team continued their researches in Dessau and a larger 200 PS gas engine Model VII was already under construction, when Junkers and Oechelhaeuser separated from each other on 17th April 1893. Junkers’ research team was splitted. Wagener remained with Oechelhaeuser at the DCA. Lynen became private assistant of Prof. Slaby in Berlin, while Emil Wergien remained with Hugo Junkers. Oechelhaeuser himself continued his researches on a Model VIII, which was a 25PS two stroke Double Postion Engine of 1893. Two further engines Model IX and X were later delivered to Bamag by Oechelhaeuser. The engagement of Hugo Junkers in the field of gas engines stopped until the early years of the twenties century, when he founded the Experimental Laboratories of Oil Engines at Aachen. A dropout from the gas engine researches at the Versuchsanstalt fuer Gasmotore was the development of the Kalorifermeter in 1892. Hugo Junkers had the problem to measure the thermal flow of the gases. Therefore he had the idea to built a Kalorimeter, which measured the temperature, that a burning gas transfers to a constant water flow and to indicate this as the heating value of the gas. Emil Wergien designed the Kalorimeter and Otto Knick built three prototypes at the Versuchsanstalt. Oechelhaeuser agreed, that the Kalorimeter was developed independently from him and allowed Junkers to achieve a personal patent for the Kalorimeter instead of a patent for the Versuchsanstalt. Already on 29th June 1892 the Kalorifer patent was assigned to Hugo Junkers with the patent number 71731. On 9th April 1893 an addition to the patent was assigned to Junkers under the number 72564. On 31st October 1892, still before leaving the Versuchsanstalt, Hugo Junkers founded his first own and independent company under the name Hugo Junkers – Civilingenieur. The major purpose of this company was initially the saving of the Kalorimeter patents from the Versuchsanstalt. However, Oechelhaeuser allowed the new Junkers company to remain on the areal of the DCA until 1895. Four people were employed by the company: Emil Wergien and Otto Knick, as well as plumber Kirchhof and mechanic Schantz. 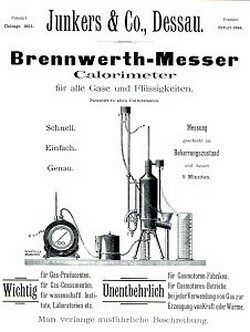 In 1893 the company started to sell Kalorimeters. But Junkers was more or less unsuccessfull in selling his Kalorimeter. Just 60 Kalorimeters were built until the end of 1895. In 1894 he met his friend from student times, Dr. Robert Ludwig. Together they founded the Junkers + Co. in Dessau on 1st July 1895. Junkers was responsible for the technological developments of that company, while Ludwig was responsible for the commercial and financial aspects. This company became the successful nucleus for all further Junkers researches and developments. Junkers + Co. provided the necessary money for the future Junkers developments at Aachen and later Dessau. However, this money did not come from the initial Kalorimeter product, but from the gas stove developments of Junkers + Co., which were added to the product portfolio in 1897, when Hugo Junkers handed over the ICO responsibility to Hermann Schleissing. At the age of 39 years, Hugo Junkers founded his own family by the marriage with the 22 year old Therese Ida Sidone Bennhold at Dessau. Her father Carl Bennhold was the head of a Dessau High School. 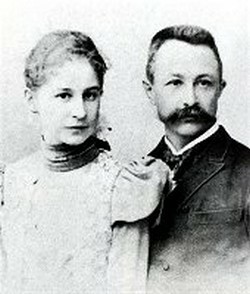 On 31st March 1898 both married at Dessau. Shortly after their marriage both moved to Aachen, where Hugo Junkers became the head of the Machine Laboratories of the Technical High School of Aachen. The Junkers family staid at Aachen at least until 1920. Most of the twelve children of Therese and Hugo Junkers were born at Aachen. The first was Herta Junkers, who was born in Aachen on 9th January 1899. For further information about the Junkers Family, please look here. Already in 1888, when Hugo Junkers went to DCA in Dessau, he intended to get a job as a scientific assistant at Berlin, Munich or Aachen University. But as there were no vacancies, he finally joint the DCA. However, Hugo Junkers still was interested to continue his scientific researches at an University. While a second approach at the Technical University of Berlin in 1894 was unsuccessfull, on 15th September 1897 he was appointed Professor of the Machine Laboratories at the Technical Highschool of Aachen. His appointment was strongly supported by Wilhelm Lynen, who joint the Aachen University as a professor already after the closure of the Dessau Versuchsanstalt fuer Gasmotore. In October 1897 Junkers moved from Dessau to Aachen and took over his new job there. The ICO Management in Dessau was taken over by Hermann Schleissing. The Machine Laboratories in Aachen belonged to the Departement No. III Mechanical Engineering of the Technical Highschool. Hugo Junkers started his lectures at Aachen in Summer 1898. Initially he concentrated on the theories and construction of measure equipments and methods of measurements in the field of machine engineering. In the laboratories he offered exercises in machine assembly and disassembly, as well as process measurement examples. Since Winter 1899 Hugo Junkers started his research studies. On 15th November 1899 Walter Bennhold, a brother of Hugo Junkers’ wife, joint the Machine Laboratories as a private assistant of Prof. Junkers. He established a construction office for water heaters, which was headed by him until June 1901, when he left Junkers and his institute at Aachen. The designs of this construction office were transferred to Dessau, where the both stoves were commercialized and sold. In 1911, fourteen years after the initial production, the first one hundred thousand warm water stoves were sold by ICO. On 12th December 1902 an additional research laboratory was founded at Aachen under the heading of Wilhem Scheller as the Versuchsanstalt fuer Oelmotore (Experimental Laboratories for Oil Engines). Like the construction office for bath stoves, this experimental laboratory was a private venture of Hugo Junkers. It was financed from ICO at Dessau on one hand, on the other hand ICO directly used the results from the laboratories in Aachen for their commercial products. In 1907 all private research and experimental units were combined in the Versuchsanstalt Prof. Junkers (Experimental Laboratories Prof. Junkers). The Versuchsanstalt Prof. Junkers was mostly focused on the development of large scale engines, which were useable in ships. At the same time the Junkers’ lectures and experiments changed more to thermodynamical area. In 1906 Hugo Junkers was overloaded with his offical educational tasks, his company in Dessau and with the death of his brother Max, who had managed the Junkers’ company at Rheydt since the death of their father. Additionally Hugo Junkers became sick and had to take a relaxing period from his lectures. During the Winter 1906/07 the Machine Laboratories of Prof. Junkers were taken over by Prof. Langer, who was appointed as Professor for Machine Elements at TH Aachen since Summer 1906. When Hugo Junkers returned to his job at TH Aachen, disputes started about a possible retirement of Hugo Junkers. The head of TH Aachen Prof. Borchers tried to push Hugo Junkers out of his laboratories. In 1908 a second machine laboratory was introduced under the mangagement of Prof. Langer. But Hugo Junkers remained in his position, but in November 1910 he decided to improve his research studies for ship engines and he asked the head of the TH Aachen for one year research vacation. In 1911 Otto Mader from the Versuchsanstalt took over the lectures and experimental laboratories at Aachen. When Junkers finished his research year, he asked for his retirement from the Technical Highschool of Aachen. Hugo Junkers left the TH Aachen after fourteen years of educational and scientific period at the age of 53 in January 1912.
several engines used for freighters up to 10000 tons. Early interests in the area of aviation technologies are already documented during Hugo Junkers’ educational studies in Berlin in 1878, when he visited Prof. Reuleaux’s lectures. In 1901 Hugo Junkers visited also Wilhelm Kress, who was constructing a flying boat at Vienna. But the real beginning of Hugo Junkers’ aviation activities could be dated in 1908/1909, when he joint the experimental flights of Prof. Hans Reissner’s Voisin aircraft at Branderheide near Aachen. 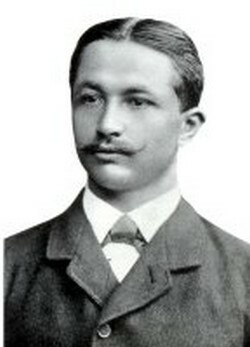 Reissner had joint the TH Aachen in 1906 and concentrated on the field of aerodynamical questions. Due to difficulties with the Voisin, Reissner decided to construct an own aircraft in 1910. The principle layout was a cunard design. Junkers promoted an all metal construction for this aircraft and supported Reissner with a mechanic engineer of his Research Institute for the construction of that aircraft. The Reissner Ente finally was an all metal fuselage construction with corrugated wing plates. It became the World’s first all metal aircraft. The development of the Reissner Ente was absolutely headed by Hans Reissner. He obtained all aeronautical patents from that design, i.e. Patent No. 222266 dated 5th November 1909 of a Wing Design for aviation and maritime transports. Hugo Junkers was nothing more than a consultant for Reissner regarding metal constructions. However, Junkers supported the Cunard development in several practical ways, i.e. in 1910 he constructed the first Wind Channel at the Technical Highschool of Aachen, which became part of his Machine Laboratories and which was used for some aerodynamical researches for the Cunard. Also the metal construction of the Reissner Ente were built at his Junkers + Co. company in Dessau. Therefore the Reissner Ente could be counted as the first aircraft, built at a Junkers company. It flew first in 1912. Nevertheless it seems, as if Reissner and Junkers had different views of future aircraft designs. While Reissner patented the thin wing plate, Hugo Junkers discussed a completely different design, the socalled thick-wing-design, which was capable to pick up payload as well as to serve with the required lift for the aircraft. On 1st Februrary 1910 Hugo Junkers obtained his first aerotechnological patent No. 253788 for a glider aircraft with a thick wing. That patent might be counted as the first own contribution of Hugo Junkers to aeronautical researches. During the following years, Hugo Junkers concentrated on aerodynamical researches of wing profiles to find the best design form for the thick wing. At his Experimental Laboratories a special research unit was established at the Frankenburg in Aachen. On 1st May 1914 a new wind channel went into service at the Experimental Laboratories, which was headed by Ludwig Wagenseil. The Junkers’ ideas of an all metal aircraft with thick wings were practically already used by two pre WWI designs. In 1911 the French Antoinette Aeroplanes Ateliers built the “Monobloc” of Leon Lavavasseur. This aircraft was a design without any outside tension wires and had a cantilever wing design. Fuel tanks and engines were integrated into cavities inside the wing. This aircraft was a practical example of the thick wing patent of Hugo Junkers. However the Monobloc was not capable to fly. An approach for the all metal design was made by Fritz Huth in 1912. He exhibited an all metal aircraft at the Allgemeine Luftfahrt Ausstellung ALA in Berlin. But also this example was unable to get into the air. In Spring 1914 Hugo Junkers advised his Experimental Laboratories to start the design of a cantilever all metal monoplane. At the same time the Junkers + Co. in Dessau was asked to prepare adequate production tooling for such a design. Due to the breakout of WWI the development of the Junkers J1 retarded, but in November 1915 the world’s first all metal cantilever aircraft and also the first Junkers aircraft was finished at Dessau and taken to Doeberitz for its first flight. In 1915 Hugo Junkers restructured his research and production facilities. Most of the Aachen Laboratories and Facilities were transferred to Dessau, where Hugo Junkers tried to integrate the research and the production areas for closer experience interchange. Already in late 1914 the Aachener Kaloriferwerk Facility was moved to Dessau into a new plant. In late 1915 most of the Experimental Laboratories at Aachen followed to Dessau. In Dessau they were renamed into Forschungsanstalt Prof. Junkers (Research Institute). Otto Mader became the new head of this research institute in Dessau. The Wind Channels of the Experimental Laboratories at Aachen were still used, but they were controlled by the Research Institute in Dessau. On 26th February 1916 Dessau also got its own Wind Channel, but the Aachen Channel was used as well until the end of WWI. Just the Experimental Laboratories for Oil Engines remained independent at Aachen during WWI, but its activities were moved from ship to aircraft engines since 1915. The Junkers Motorenwerke GmbH in Magdeburg were closed in 1915. The remains were transferred to Dessau after WWI on 27th August 1919. The Dessau concentration was marked by the foundation of the Junkers Werk Main Office at Dessau on 15th February 1915. This Main Office had to integrate all Junkers’ companies and facilities. In November 1915 Junkers also rented an areal between Dessau and Mosigkau and set up there the first Junkers company airfield. Hugo Junkers and his family also moved from Aachen to Dessau in 1915. However it seems as if the family still kept connections to Aachen, as the last Junkers child Dorothee was still born in Aachen in 1920. Following the successful flight of the Junkers J1, Hugo Junkers enforced the further development of that aircraft. The most important problem, which was to be solved, was the weight question of the iron metal aircraft. Therefore the Research Institute in Dessau was looking for alternate metal materials, which finally led to the use of Duralumin. That lighter material was used at the Junkers J7 for the first time and led to more competitive all metal aircraft designs, which also convinced the IDFLIEG. In November 1916 IDFLIEG announced the first official development order for a heavy armoured battle aircraft in all metal construction. Hugo Junkers developed the Junkers J4, which already flew first on 28th January 1917 and achieved its type certification on 7th May 1917. IDFLIEG was interested in a larger number of this aircraft type. However, the aircraft development center at Junkers + Co. was still a small department with several hundred people and a comparable small hangar area. This department was mostly focused on prototype construction, but not on a large scale serial production. It became also obvious, that several requests of the IDFLIEG and the German Navy for new aircraft designs could not be answered in time by Junkers. Therefore Junkers was asked to separate the development of new aircraft designs from the serial production and to cooperate with experienced aircraft production companies. 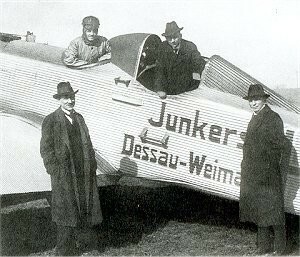 Junkers started discussions with the Stinnes Consortium and with the Fokker company and on 20th October 1917 the Junkers-Fokker-Werke A.G. was founded in Dessau. The major purpose of this company was the serial production of aircraft, which had been designed by the Research Institute of Prof. Junkers. The aircraft department of Junkers + Co. was separated from Junkers + Co. and integrated into the Junkers-Fokker-Werke A.G. Additional capacity was transferred from the Fokker Werke at Schwerin. The remaining Junkers + Co. was concentrated on its classical thermodynamic applications, like the gas stoves and military equipment for the war time production. Junkers + Co., as well as the Junkers Research Institute remained completely under control of Hugo Junkers. Initially Junkers + Co. and the Junkers-Fokker-Werke A.G. produced in the old JCO facility. But on 13th June 1918 Junkers + Co. left the facility and turned over into a new nearby facility. The former JCO facility was completely taken over by Junkers-Fokker-Werke A.G.
May 1920 - 1921 Junkers-Larsen Corporation, U.S.A.
At the end of WWI the German aviation industry was faced with a lot of severe restrictions regarding the size and the use of aircraft, which have been built in Germany. For a short period the Allies completely prohibited the construction of aircraft in Germany and until 1925 no larger aircraft were allowed and the design of military aircraft was completely prohibited. This was especially a problem for the all metal Junkers aircraft, which were heavier than conventional wooden and textiled aircraft designs and therefore needed more powerful engines than were allowed by the Allies. Therefore Junkers was forced to seek markets outside Germany for his new aircraft, especially for the Junkers F13, which became available in Summer 1919. In 1919 John Larsen contacted Junkers and asked for license production rights for the Junkers F13 in the U.S. market. However, Junkers was not interested in such a license agreement, as in 1919 the massive restrictions upon the German aviation industry was not yet obvious. Therefore Larsen asked Junkers for the delivery of 100 F13s to the U.S.A. This led to a contract between Junkers and Larsen in November 1919. In May 1920 Larsen founded the Junkers-Larsen Corporation in the U.S.A. Larsen sold the Junkers F13 in the U.S.A. under the marketing name JL6. The first batch of 28 aircraft arrived in U.S.A. during the first half of 1920. The second batch was confiscated by the Allied Control Commission in October 1920 while been waiting for shipping in Hamburg harbour. At the same time a series of crashes occurred in the U.S.A. with the JL6 aircraft, which were operated by the U.S. Air Mail Service. This accident series resulted in the grounding of the JL6. Larsen lost his major customer for his aircraft, while Junkers was unable to satisfy the demand of Larsen for the U.S. market due to the construction stop of aircraft, which was announced by the Allied Commission. Finally in 1921 the Junkers-Larsen-Corporation was dissolved with the result of financial losses on both sides. In 1922 the German government asked Junkers for his support in the German-Soviet military corporation. The Soviets asked Germany to help Russia in the setup of a modern Russian aviation industry. In November 1922 Junkers and the Soviet government signed a contract, which allowed Junkers to built up an own facility at Fili near Moscow. This facility should produce military aircraft, designed by Junkers, which should be used by the Soviet air force. The aircraft development and the facility built at Fili was financed with the support of the German government. In 1924 further credits are offered to Junkers for the Russian ventures, but the Fili venture did not come to a positive result. The Russians were not convinced with the Junkers aircraft and in 1925 the German government lost their interest in the corporation with the Soviets as Germany got out of the isolation policy of the Allies. Further credits were stopped and Junkers was asked to repay all prior credits of the Fili venture. In March 1925 the Fili venture came to a sudden stop. Junkers himself was faced with massive financial losses and massive repayment requests from the German government, which finally caused the crash of the Junkers consortium in Autumn 1925. The only successful international corporation of Hugo Junkers was the foundation of A.B. 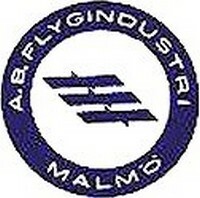 Flygindustri at Limhamn near Malmo in Sweden. On 16th January 1925 the company was founded by Adrian Flormann, Hugo Junkers and several other financial investors. The background of the foundation of this company was, that Hugo Junkers was able to built larger aircraft like the Junkers G24. But the Allied restrictions in 1925 still did not allow to provide enough powerfull engines for such an aircraft. Therefore Junkers built a total underpowered Junkers G23 at Dessau, flew it to Limhamn, where the aircraft was reengined and sold to final customers. In 1926, when the bans on German aviation industries were reduced by the Allies, Junkers used Limhamn as an equipment center for military aircraft. Again, most aircraft were delivered from Dessau to Limhamn in civil configuration and gained at Limhamn their military equipment. The Junkers-Flygindustri corporation last until 1935. In fact Limhamn was not an individual company, but it was directly and completely controlled by Junkers. It’s major purpose was to overcome the deficits of the German location in the early 20s. Another international joint venture of Junkers was the TOMTAS company in Turkey on 15th August 1925. The character of that foundation was very similar to the Fili foundation. The Turkish government was interested in getting support for the setup of an own aviation industry. Junkers was interested to deliver parts, which were manufactured at Dessau, to Turkey where the parts were mounted. About 50 Junkers A25 were built in that way. But the Turkish government was again not convinced with the Junkers aircraft and the corporation was stopped in 1927. In total none of the international activities except the Limhamn activity of A.B. Flygindustri were successful. They helped to overcome the critical time of construction restrictions in Germany and Junkers was able to continue his aircraft developments for external markets. However, most of these ventures led to catastrophical financial losses, which finally caused the crash of the Junkers consortium in Autumn 1925. 1921 Department of Air Traffic at Junkers Flugzeugwerke A.G. Already in 1914 Hugo Junkers developed ideas about a commercial utilization of aircraft, when he designed an aircraft for four passengers. However, these early ideas were secondary as the construction of the first all metal aircraft was prior. The breakout of WWI stopped any civil utilization ideas of aircraft. But already in February 1919 Hugo Junkers returned to his prewar ideas and advised Otto Reuter to start the design of a first all metal passenger airliner for four to six passengers, which finally led to the Junkers F13 in June 1919. During the following years until 1925, Hugo Junkers and Otto Reuter designed several interesting passenger aircraft like the Junkers G24 or the Junkers JG1. Several marketing tours were initialized, i.e. to South America in 1923/24. International sales partnerships were launched like the Junkers-Larsen-Corporation in USA in May 1920. The AEG consortium had already founded a first commercial airline during WWI, when the Deutsche Luftreederei DLR was formed in 1917. The Luftfahrzeugbau Schuette Lanz had started military mail flights from Zeesen in December 1918 and Sablatnig Flugzeugbau GmbH and Rumpler Werke A.G. launched passenger services from Johannisthal in December 1918 and January 1919. All services were provided with former military aircraft, which were now civilized. Like the other aircraft manufacturers, Hugo Junkers also applied for an airline license at the Reichsluftamt. Junkers intended to open a regular mail and passenger service from Dessau to Weimar in March 1919, when the National Convent was held at Weimar. Two Junkers J10 were converted for civil purposes and a covering was added above the rear seat, to protect passengers from rain and wind. Services were started on 3rd March 1919 and the official certification as an airline was achieved in May 1919. Junkers Flugzeugwerke received the C of A No. 7 in Germany. When the National Convent at Weimar closed in May 1919, this initial Junkers air service stopped. proposal of Gotthard Sachsenberg for the foundation of an airline service between Berlin and East Prussia reactivated the Junkers engagement in Germany’s air traffic in 1920. In October 1920 the Lloyd Ostflug GmbH was founded by Norddeutscher Lloyd, Albatros Flugzeugwerke GmbH and Junkers Flugzeugwerke A.G. Each partner took shares of 1 million Reichsmark. Gotthard Sachsenberg brought in his Luftreederei der Ola and a further million Reichsmark. Lloyd Ostflug was the first Junkers engagement in a commercial airline company. When NDL and Albatros left Lloyd Ostflug in late 1921, Junkers formed a Department of Air Traffic within Junkers Flugzeugwerke A.G., which absorbed the remains of Lloyd Ostflug. Several airlines were founded by the Department of Air Traffic at Junkers through the following years. These airlines were spreaded not only in Germany, but also in Northern, Eastern and Southern Europe. In 1923 the Department of Air Traffic sorted their airline participation in three unions, the Osteuropa-Union with those airlines in Eastern Europe and the Baltikum, the Nordeuropa-Union with the Scandinavian airlines and the Transeuropa-Union, where the German, Austrian and Swiss airlines were integrated. Meanwhile the air traffic business at Junkers Flugzeugwerke A.G. played a significant role. Therefore the Department of Air Traffic was outsourced into the Junkers Luftverkehrs A.G., which was founded on 13th August 1924. A severe competition broke out between Junkers Luftverkehrs A.G. and the opponent Deutscher Aero Lloyd. In May 1925 the three Junkers unions were integrated into Europa Union for further cost cuttings. In 1925 Hugo Junkers was also looking for further commercial utilizations of his aircraft. Two further departments were founded in 1925, the Department of Parsit Fighting, which offered pesticide flights and the Department of Cargo Flights. Junkers also showed activities in the supply chain of his airlines. The foundation of the Junkers Verkehrsfliegerschule established standard pilot educations and the introduction of maintenance facilities throughout the European network ensured the required technical standard on all of his aircraft in 1925. Some of his F13 were modified to ambulance aircraft for rescue services. Until Hugo Junkers was forced to sell his Junkers Luftverkehr in October 1925, his airline became the largest air transport operator with a Europe wide network and partners also in South America and Middle East. About 40% of the worldwide air traffic was performed by Junkers Luftverkehr in 1925. Hugo Junkers himself was not really engaged in the air traffic engagement of his company. These activities were mostly driven by Gotthard Sachsenberg, who headed Junkers Luftverkehr. The major interest of Hugo Junkers in Junkers Luftverkehr came from the market potential for his aircraft, which resulted from the growing airline market. Nearly all airlines of the Junkers Luftverkehr operated Junkers F13 or G24 exclusively. In 1926 Junkers lost total control about that market, when his Junkers Luftverkehr was absorbed into Deutsche Lufthansa A.G. In Europe and Germany totally retreated from any airline business since then. Just in Persia the Junkers Luftverkehr Persia remained until the thirties as a new test cell for the development of a cost efficient airline operation. November 1925 Loss of Junkers Luftverkehrs A.G.
· 66% of Junkers Flugzeugwerke A.G.
to the German Government. Therefore in November 1925 Junkers had lost control about the majority of his companies. The Junkers Luftverkehrs A.G. was merged with its opponent Deutscher Aero Lloyd into Deutsche Luft Hansa A.G., which was formed on 6th January 1926. The loss of Junkers Luftverkehrs A.G. did not only mean the loss of Junkers’ influence on the further development of Europe’s air traffic market. Furthermore it meant the loss of influence upon most of the customers of Junkers Flugzeugwerke A.G., opening markets for Junkers’ opponents like Dornier or Messerschmitt. Furthermore Junkers was forced to open the developments of the Forschungsanstalt to Junkers Flugzeugwerke A.G. Since October 1925 Junkers had to hand over the heading of the Supervisory Board of Junkers Flugzeugwerke A.G. to Dr. Schlieben of the German government. Wilhelm Staben was appointed as the reponsible economic head of Junkers Flugzeugwerke. Junkers was unable to make any decisions at Junkers Flugzeugwerke without these two heads. Nevertheless, the October agreement was just a preventive agreement. It was also intended, that an official jury should review the Fili deal and the current Junkers situation. 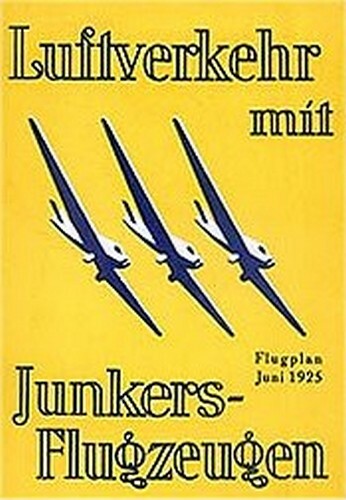 As Junkers Flugzeugwerke A.G. had lost most of their customers from Junkers Luftverkehrs A.G. the economical situation of JFA became more and more worser in 1926 under the control of the German government. In May 1926 it was proposed to reduce Junkers Flugzeugwerke A.G. to a small prototype producer. Until December 1926 a total loss of 7 Million Reichsmark were gathered again. Therefore since 1st January 1927 Hugo Junkers again controlled his Junkers Flugzeugwerke A.G. independently from the Reich. However, he had lost his complete influence upon the further development of Germany’s air traffic, which was now further developed by Luft Hansa A.G.
During the following 6 years Hugo Junkers returned to his ideas of the early twenties. The Junkers G38 was the realization of the large scale JG1 airliner of 1921, which had to be stopped due to the Allied restrictions in Germany. The G38 might be counted as Hugo Junkers final detailled design. All further Junkers aircraft were mostly driven by Ernst Zindel. At JUMO he returned to the ideas of the oil engines, which were stopped at the end of WWI. At least at the Jumo 204 Junkers participated and laid the foundation for the later Jumo 205. Less known is, that Hugo Junkers also laid the foundation for the future rocket and jet engines. Since 1927 Otto Mader was engaged with the research of these power units. Even if Hugo Junkers himself did not take much detail work at the Junkers Ju52, at least he was the initiator for this very successful transport aircraft of the thirties and finally his support for the Junkers Ju60 prepared Junkers Flugzeugwerke for the modern aircraft design of the thirties. Therefore, even if Hugo Junkers himself at least since the late twenties retreated from the detailled aircraft design work, he still influenced the developments and pushed his company into future trends of aircraft designs. Following the recovery of Junkers Flugzeugwerke A.G. Hugo Junkers himself concentrated on giving the directions of future developments. The realization of these directions were mostly in the hands of Ernst Zindel and Otto Mader, later also Hermann Pohlmann. This was consequent, because the principle technical development of aircraft designs at Junkers Flugzeugwerke had left the scientific level and became more and more conventional. Junkers himself headed for new areas. At Dessau he was in contact with Walter Gropius, who was the head of the artificial Bauhaus connection, since the Bauhaus had moved from Weimar to Dessau in 1925. The new Bauhaus style tried to combinate artificial simplicity with new technological materials. It was consequent, that Junkers and Gropius discussed the utilization of metal materials in that concepts. 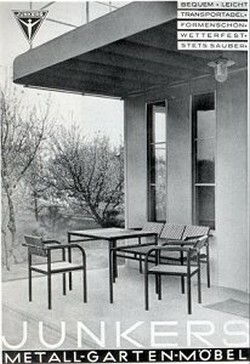 In 1928 Hugo Junkers was interested in setting up a commercial production of Bauhaus metal furnitures. He bought the shares of the Dessauer Moebelfabrik A.G. – MoeFa. Already in 1927 Junkers started discussions with Bruno Urban, a Bauhaus style influenced architect from Munich. Several experimental metal constructions were built by Urban and Junkers, i.e. Phone Cells, Car Garages, Kiosk Boxes, Metal Doors. Also Container constructions for trucks and trains were discussed. All aspects on house constructions were focused, including technical infrastructure. Even if just a few small prototypes were built during the years and even if Hugo Junkers’ investment remained very small, he was personal deeply engaged in that work and it became the final research area for Hugo Junkers, when he was arrested in Munich after 1933. But the Bauhaus connection was not the first time, that Hugo Junkers headed into architectural business. Already in 1924 he discussed the possibilities of movable hangar constructions with lamella layouts. These hangars were commercially sold via the Kaloriferwerke since 1924, as they gained the most experience about lamella technologies. TOMTAS in Turkey used these lamella hangars, several were sold to England and Iceland and still today one lamella hangar is in use at Oberschleissheim airfield. 4th November 1932 Junkers + Co. sold to Robert Bosch A.G. Since the recovery of Junkers Flugzeugwerke A.G. and Junkers Motorenwerke A.G. in 1927 several cost consuming projects had been under work. The G38 and Jumo 204 developments were surely the most expensive ones. Further projects like the Ju49 and Ju52 were on their way in 1930. Smaller developments like the W33/W34 or the A50 did not have the expected market success. On the other hand, the cost structure of the Junkers consortium was high, especially in the overhead functions. Due to the worldwide economical crisis Junkers missed the necessary orders from airlines. In 1930 it became obvious, that all Junkers factories had to be reduced in their size. As Junkers did not accept some individual job cuts, it came to a confrontation between Hugo Junkers and his directors at ICO and IFA. As a result several members of the board of directors left Junkers. During the second half of 1931 the economic situation of Junkers Flugzeugwerke became more and more dramatic. Intensive cost cutting programs were initiated. But finally on 22nd March 1932 again Junkers was unable to pay loans and other bills of his company. Again the Junkerswerke, including JFA, JUMO and JCO as well as the Kaloriferwerk, were under governmental control. In May 1932 two possible partners for Junkers were in discussion with the Reichsverkehrsministerium. One was Fokker, the other was Henschel Locomotives in Cassel. Henschel was interested in taking over the aviation complex of the Junkers consortium. But Hugo Junkers was not willing to sell this part of his company. Finally Junkers decided to sell the nucleus of the Junkers consortium, the Junkers + Co., to the Robert Bosch A.G. on 4th November 1932 for a price of 2.6 Million Reichsmark. Bosch received not only the ICO facilities, but also the right to use all Junkers patents, which resulted from ICO developments and researches. Bosch also bought the name JUNKERS for further use on Junkers + Co. products. On 8th November 1932 Hugo Junkers founded two patent offices as independent constructions. All Junkers aircraft patents were taken over by Junkers Flugzeug-Patentstelle GmbH and all engine patents were transferred to Junkers Motoren-Patentstelle GmbH. Both companies were now the legal owner of all former Junkers patents. Contracts with JFA and JUMO were made, which offered the utilization of Junkers patents for JFA aircraft and JUMO engine developments. As the salary of Junkers + Co. did not solve the complete financial situation of the Junkers consortium, further sales of Junkers companies were necessary. Therefore Junkers decided to sell parts of his engine facilities. He formed a new company, the Junkers Dieselkraftmaschinen GmbH - Jukra Chemnitz, into which the stationary engine development was transfered and finally sold. 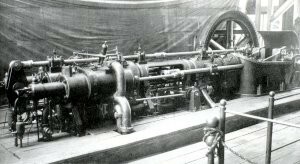 The remaining part of the Oil engine development remained in Dessau and were integrated into the Gesellschaft fuer Dieselkraftmaschinen GmbH at Dessau, where the future oil engine research should be performed. By these activities Junkers managed to save his Junkers Flugzeugbau and the Junkers Motorenbau from bankruptcy in December 1932. Just three month after the recovery of the Junkers consortium, Hugo Junkers suffered a third and final crisis. Three days after Hitler took over political control in Germany, Hugo Junkers was asked by the German Defense Ministry to transfer his privately owned patent rights to the Junkers Flugzeugwerke AG. Hugo Junkers did not agree to this request. Therefore the Reichsverkehrsministerium asked the Dessau court investigator Laemmler to accuse Hugo Junkers as a spy. In May 1933 Hugo Junkers was set under partial arrest and he was not allowed to leave Dessau, while Laemmler was investigating against him. On June, 2nd 1933 Hugo Junkers was forced by Laemmler to transfer his patent rights to IFA and JUMO, otherwise Junkers would be arrested and sent into prison. With signing an agreement, Junkers transfered more than 170 personal patents to IFA and JUMO. Up to this time most shares of IFA and JUMO still belonged to Hugo Junkers himself. But Erhard Milch, who had became a major head of the newly formed Reichsluftfahrtministry already intended to take over control of IFA and JUMO at this time. Milch advised Laemmler to force Hugo Junkers to sell off the majority of his shares to the German government. In a first step Hugo Junkers was advised, that he had leave the city of Dessau on 3rd October 1933. Junkers moved to his private home at Bayrischzell near Munich. On October, 17th 1933 Hugo Junkers was forced to join a meeting with Laemmler and he was asked to sign an agreement, by which Junkers sold 51% of his IFA and JUMO shares to the German government otherwise he would be arrested due to his activities against the German government during the first Junkers crisis of 1926. Finally Junkers agreed and transfered 51% of his shares to the Reich, loosing the final control over his company and his patents. At the same time Hugo Junkers was forced to transfer his position as a chairman of the supervisory board of IFA and JUMO to the president of the chamber of commerce of Dessau Mueller. On 6th December 1933 Heinrich Koppenberg became the new chairman of the Supervisory Board. While Milch initially was just interested in the financial majority of the Junkers consortium, since December 1933 he was interested in receiving the total ownership of the Junkerswerke. When Hugo Junkers refused any further discussions upon the remaining 49% of the Junkers stock, on February, 3rd 1934 Junkers was set under arrest at his private home at Bayrischzell. He was not allowed to leave Bayrischzell and he was not allowed to get visits by third people without the participation of police officers. Hugo Junkers continued to fight for his rehabilitation during 1934. But his healthy condition became worser during this year. In September 1934 Junkers wrote a letter to Goering and asked for jury decision regarding the accuses against him. Goering and Milch advised the economical consultant of Hitler, Dr. Keppler to identify solutions for the take over of the remaining 49% of the Junkers stock. After two meetings with Dr. Keppler, Hugo Junkers died in February 1935. But the fight for the control over the Junkers consortium continued also when Hugo Junkers already was dead. His wife Therese was finally forced to accept the salary of the remaining Junkers shares for 9.050.000 Reichsmark. A further 3.5 million Reichsmark had to be paid for the utilitzation of Junkers patents during the next 10 years. The actual worth of the Junkers company at this time was calculated for about 32 million Reichsmark. So, Therese Junkers just received a third of the company's real value. After the end of WWII, her son Klaus Junkers continued the family fight against the government of the Federal Republic of Germany, but again without any success. The Junkers family had finally lost their influence upon the work of Hugo Junkers. In Bayrischzell Hugo Junkers was isolated from all contacts. He was not allowed to work in any aviation related area. Apart from his continued struggle against the Nazi Government and the take over of his company, Hugo Junkers studied the possibilities of large scale metal house architectures at Bayrischzell. Even in the difficult situation of 1934, Hugo Junkers founded a final company, the Research Institute Prof. Junkers GmbH in Munich in Spring 1934. 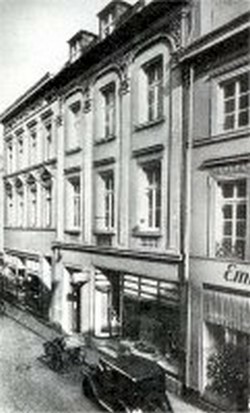 Hugo Junkers was allowed to travel between Bayrischzell and his Munich Office in the Koeniginstrasse. 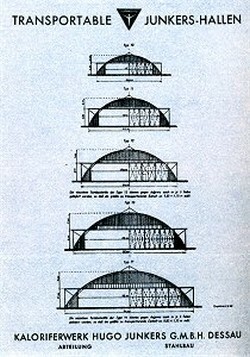 This company should save the rights on Hugo Junkers’ final ideas of architectural constructions. But the health condition of Hugo Junkers became worse. In September 1934 he had to go to a hospital and following his recovery Junkers went to sanatory at Murnau. 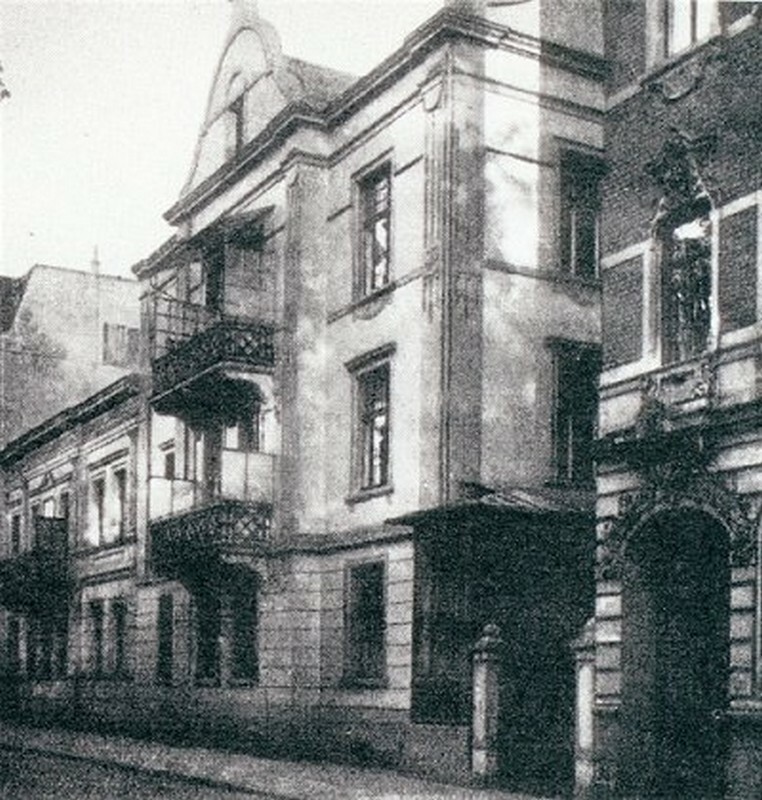 In October 1934 he bought a house for his family at the Hindenburgstrasse 18 in Gauting, where Hugo Junkers and his family settled in December 1934. Hugo Junkers died on his 76th birthday on February, 3rd 1935 at Gauting. 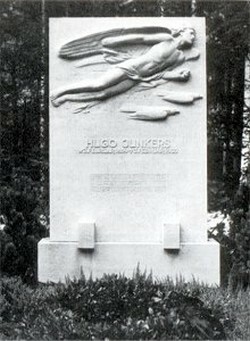 Hugo Junkers grave yard is at the Munich Waldfriedhof, where he came to rest on February, 9th 1935. When Hugo Junkers died, he was still under arrest at his home, even when the restrictions had been lowered.  He had lost any influence upon his former companies. The Junkers Flugzeugwerke were already in progress towards Germany’s weapon factory number 1 at the time of the death of Hugo Junkers. Officially the Nazi Government tried to hide the struggle between Junkers and the officials. Officially it was announced, that Hugo Junkers retreated from the company as he personally preferred to provide more time for his personal researches. When Junkers died, Goering and Milch advised a State Funeral. The Mourning Speeches were held by Pastor Werner, Otto Mader and the president of the Reichsgericht Dr. Simons. Rudolf Hess represented the Nazi Government at the funeral.